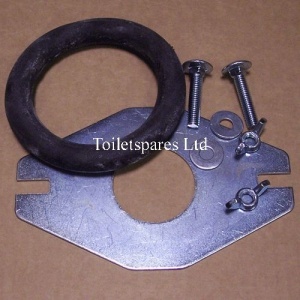 We call this a 1.5" Ideal Standard flate plate close coupling kit with Ideal ring doughnut. Diameter of plate hole is 48mm. This is a flat plate complete with the ideal ring doughnut washer and is fitted to Ideal standard suites usually fitted with a Jetflow or Freeflo syphon.